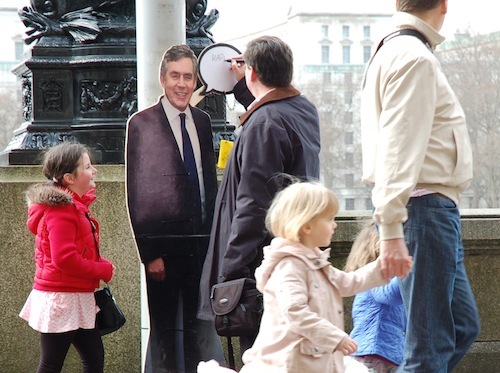 UK street artist Contra installed a life-size cut out of Prime Minister Gorden Brown on the south bank opposite The Houses of Parliament in London. Also attached was a speech bubble made with dry-erase board material, allowing each stranger to add his own voice. The video is a touch long, but has some very nice moments. We love projects like this that encourage public participation. Reminds us of Ji Lee’s bubble project. Here is my installation of a Gold Framed Mirror with engraved copper plaque titled ‘Vanity Point’. 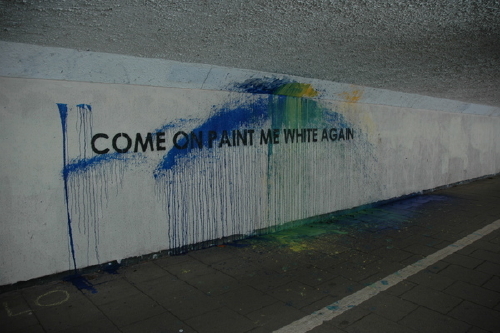 A playfully mocking piece that produced rather an ironic reaction. 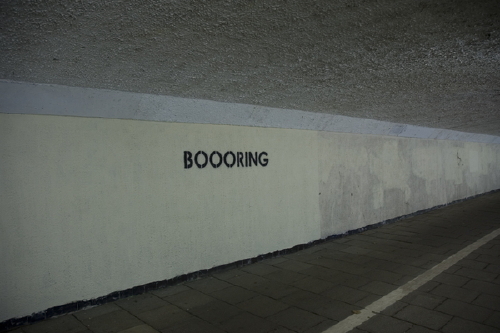 A wonderful conversation between street artist mobstr and the Newcastle City Council. 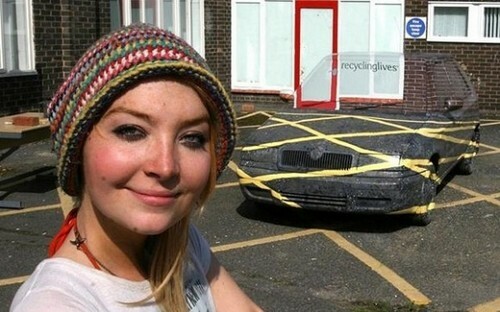 A design student made a battered old Skoda “disappear” by painting it to merge with the surrounding car park. Sara Watson, who is studying drawing at the University of Central Lancashire (Uclan), took three weeks to transform the car’s appearance. 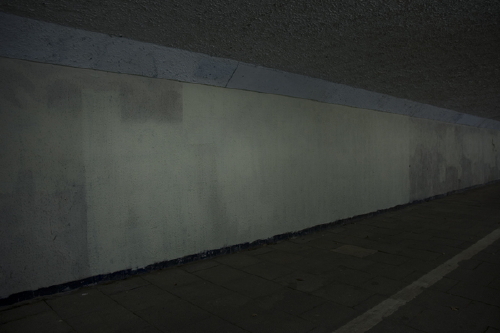 She created the illusion in the car park outside her studio at Uclan’s Hanover Building in Preston. The car is now being used for advertising by the local recycling firm that donated the vehicle. She was given the Skoda Fabia from the breaker’s yard at local firm Recycling Lives. Owner Steve Jackson described her work as “amazing”. “When I first saw the photos I was convinced it was something which had been done on the computer,” said Mr Jackson. “But when you look more closely you see the effort and attention to detail she has put into it. It is just amazing. Imbue recently set up his controversial “Drug Vend” sculpture on Brighton Pier in the UK. Cocaine and Heroin for pocket change? What a deal! 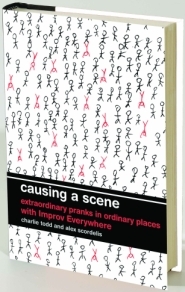 Don’t forget you can buy ideas from vending machines as well. 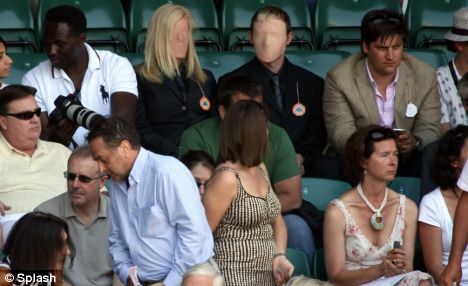 Several news organizations, including the Daily Mail, are reporting that “faceless” figures are popping up at Wimbledon and several posh parties around London. Blogger Nick Burcher noticed the logos they are wearing are for the car company Lotus, and was able to sleuth out that the whole thing is actually a viral marketing stunt. 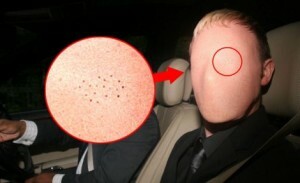 Given how easy it is to find the facelesspeople.com website through Google I think it is amazing that there has been so much Faceless People coverage and so little realisation that the Faceless people are part of a clever viral marketing rather than a political statement or art!